QQI (Quality and Qualifications Ireland) is a state agency established by the Qualifications and Quality Assurance (Education and Training) Act 2012 with a board appointed by the Minister for Education and Skills. Its functions include those previously carried out by the Further Education and Training Awards Council (FETAC); the Higher Education and Training Awards Council (HETAC); the Irish Universities Quality Board (IUQB) and the National Qualifications Authority of Ireland (NQAI). In the area of qualifications, QQI is responsible for maintaining the ten-level NFQ (National Framework of Qualifications). 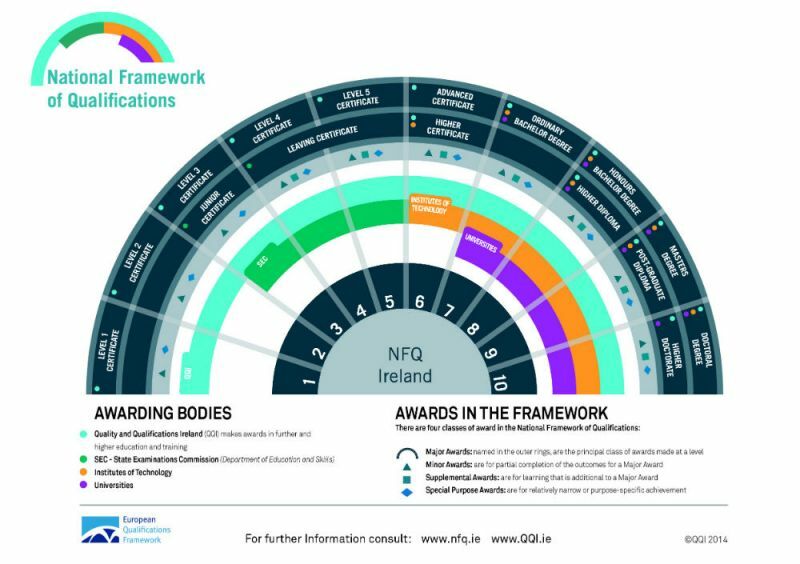 QQI is also an awarding body and set standards for awards we make in the NFQ. For more information on QQI awards visit their website – www.qqi.ie. ICS SKILLS is the skills and certification division of the Irish Computer Society. As an organisation, it was formerly known as ECDL Ireland, and it now administers a much wider array of programmes. ICS SKILLS is a not-for-profit organisation. For more information on ICS awards visit their website – www.ics-skills.net. CTEC offers the European Computer Driving Licence V6 (ECDL), walk-in ECDL exams and Equalskills training programmes. Accounting Technicians Ireland (formerly IATI) is the leading professional body for accounting technicians on the island of Ireland. ATI educates, supports and represents over 10,000 people working in the profession. Established in 1983, ATI provide an internationally recognised business qualification and promotes the highest educational, technical and ethical standards to ATI members. CTEC offers ATI Year 1 & ATI Year 2 training programmes. CTEC offers this one day foundation course certified by the Crisis Prevention Institute – CPI. The programme is suitable for any organisation that supports potentially vulnerable people or whose staff work with individuals who may exhibit behaviours that can challenge. Our one day Patient Moving & Handling courses are tutor led by QQI qualified Patient Manual Handling Instructors. Aimed at healthcare staff, this course is certified by the HSE and delivered by a nurse tutor registered to deliver this course by the HSE.